On this episode of Break From The Grind we of courst talk about the 2nd Annual FLA Toys For Tots drive, give you a delicious fat guy food tip and have the triumphant return of Sad But True News! 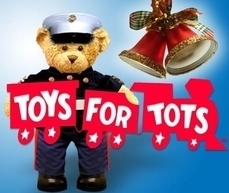 Please take some time to donate to or share the 2nd annual toys for tots drive. Today 10/31 is the last day to enter for the Leveon Bell signed mini helmet. $10 donation for one entry $50 gets you 6. Please mention your app name and the drawing to be included. Drawing will be the evening of November 1st on @geo's Periscope. @bftgpod on twitter for the link. It is that time of year again. The second annual FLA Toys for Tots Drive! On this episode of Break From the Grind we have Neal from Clock Dodgers and an interview Gunny Sergeant Mejia from the Palm Beach County Toys for Tots. If you are able, please donate to this amazing cause. If you cannot donate, pass our information on to someone who can. In addition, this year we are going to have a couple raffles. The first raffle is going to be for a Le’veon Bell signed mini helmet. The raffle will run through 10/31 and the drawing will be held on 11/1/17 live on Periscope. Every $10 you donate to you caring at the link below gets you one entry. $50 gets you six entries. YOU HAVE TO COMMENT IN YOUR DONATION THAT YOU WANT TO BE PART OF THE RAFFLE. The mini helmet was purchased from pristine auction and comes with a certificate of authenticity. 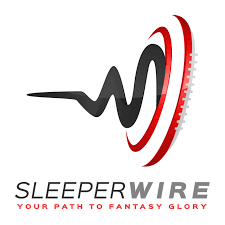 For updates on the drive please listen to Clock Dodgers, Fantasy Football Breakdown and Break From the Grind. Of course you can check status on the Fantasy Life App and at the youcaring link as well. Finally our 50th episode!!!. On this episode we have two VERY special guests. Hell froze over and our wives graced us with their company. We get a fat guy food tip and answer your mostly inappropriate questions. We even make a few worse than needed. Come take a Break From Your Daily Grind for the 50th time.